It’s been a long time coming, but Staples has finally worked out a deal to begin selling Apple products in its 1,575 stores throughout America. Senior Vice President of Global Human Resources Regis Mulot confirmed the deal through his Twitter account after a month of speculation. His tweet was soon followed by other ranking employees including Strategic Accounts coordinator Erin LaFemme and Field Services Manager Mike Goggin. America’s largest office supply store had already provided Apple products above the border in Canada. CEO Ron Sargent had been trying to work on the deal for American stores as early as 2011, but Apple took a little more convincing this side of the border. Currently, Staples only sells accessories for iPads and iPhones. It is unknown which products will be sold at Staples, but the iPad and upcoming Apple TV are a decent bet. Rumors had been spread about the deal ever since a mock-up ad of the Apple TV appeared on Staples’ website last month, advertising the device for the cheap price of $49.99. 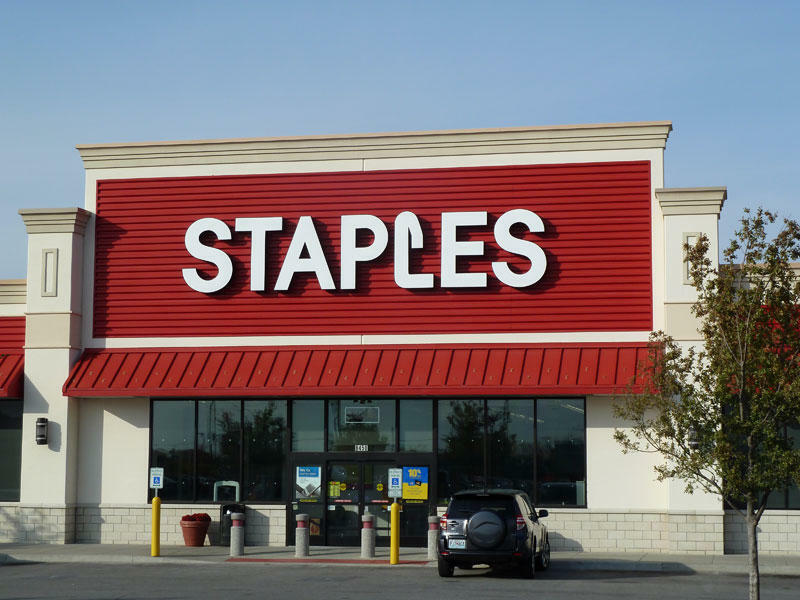 Staples has proven to be one of the largest factors in sales for tablets with its huge corporate consumer base in tow. Other companies who depend on the store to sell their products, especially Microsoft and their Surface Pro tablets, should soon start feeling the heat with the anticipated arrival of the iPad.